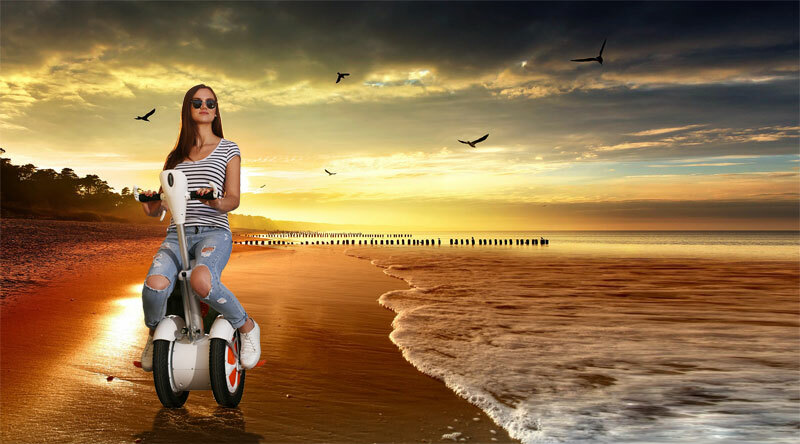 With a lot of effort, Moben Global Inc. has launched the 2-wheeled self-balancing electric scooter V9, U3 and K3. Compared with Fosjoas unicycles and twin-wheeled scooters, the two-wheeled scooters have longer range and easier to learn. They help Fosjoas play a key role in the scooter-making market. Fosjoas self-balancing scooters will lead in the mobile traffic field in the future. 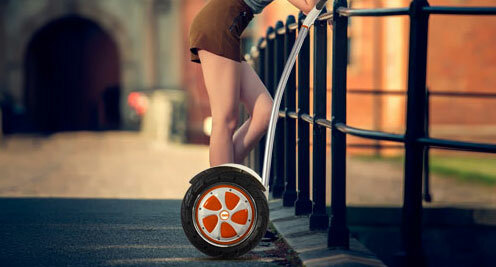 Take the latest model-the Fosjoas intelligent scooter K3 as example: it is equipped with good quality accessories. They used Sony/Panasonic lithium battery, Cheng Shin Tyre, and synthetic resin shells which are made up of advanced nano-material. The renowned brands are the insurance of quality. Same as other Fosjoas models, there are three protections in Fosjoas electric scooters K3: speed limit protection, low battery protection and tilting protection. Once the cycling data exceeds the safety value, K3 will send out the buzzing sound to warn users. What's more, Fosjoas industrial designers have applied some pioneering safety element in K3, such as electronic brake system, hydraulic suspension and automatic turning induction. The electronic control helps the brake system to respond immediately. It is accurate and safe. The design of hydraulic suspension combines with traditional adjustable spring suspension. Even if on the bumpy road, the hydraulic suspension of K3 provides users with comfortable riding experiences. To design automatic turning induction, Fosjoas uses the vehicle international standards as its references. The turning lights of Fosjoas K3 are completely automatic. It helps riders to avoid risks during cycling. Moreover, in the batteries group of K3, there are six smart protections: over-discharging protection, over-charging protection, overload protection, short circuit, over-current protection, over-temperature protection. Most importantly, a Fosjoas self-balancing electric scooter K3 has three smart chips inside. When one chip comes into failure mode, the backup chips will be started immediately. So users' trips with Fosjoas 2-wheeled self-balancing unicycle K3 won't be interrupted. Owing to the two-wheeled structure, Fosjoas intelligent scooters have been applied higher technologies and more considerate designs. They will be more people's vehicles in the future.